Stephane Leonard´s series Rien ne va plus tells of the powerlessness of the arts in the face of current political, economic and environmental catastrophies. The large scale drawings scrap along the deep ends of the artists emotional states by exploring the end of materiality and colour in painting. 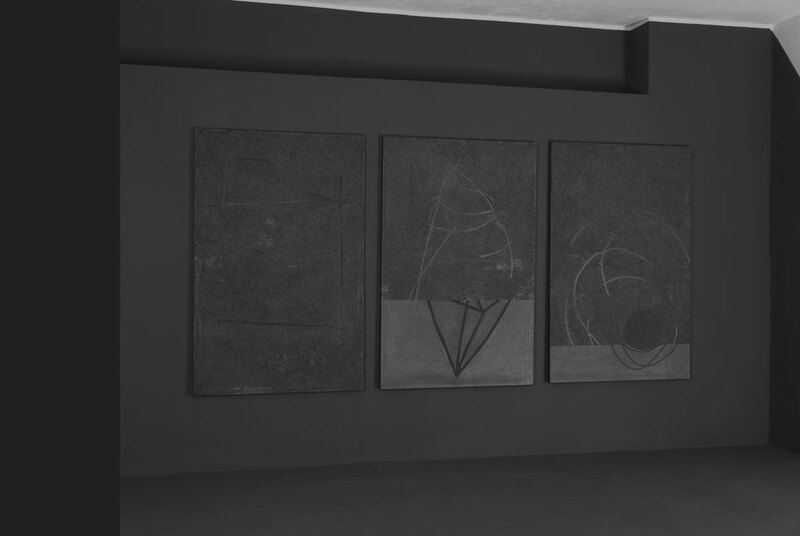 The first 3 pieces of the series were shown in november / december 2015 + january 2016 at the okazi gallery in Berlin. 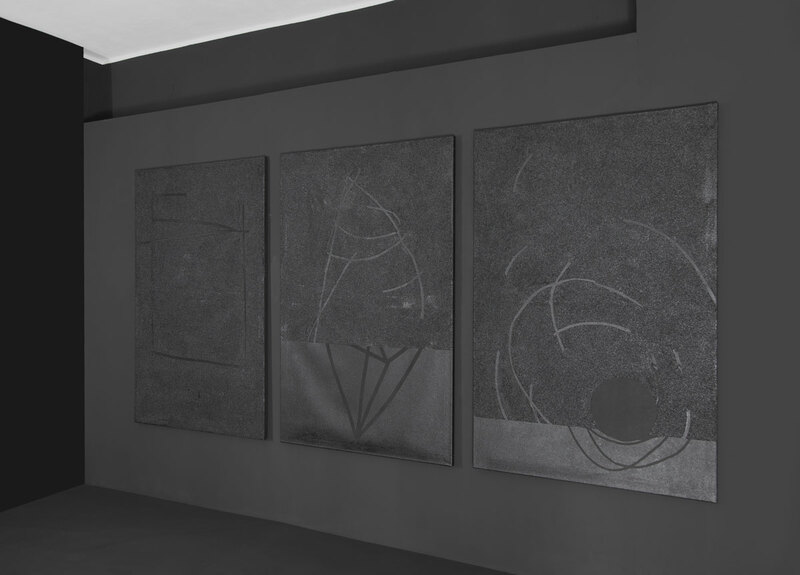 In room two of the gallery Stephane created a dark installation with his almost monochrome black images on a black ground, sparsely lit by an ensemble of neon lamps. Dark and almost monochrome images are presented on a black wall, to be approached on a blackened floor, only lit by the sparse glow of a neon lamp ensemble, presented as an installation all together. The title Rien ne va plus is dedicated to that room. Rien ne va plus, nothing left to say . ecological crisis. Mankind is stunned, speechless and powerless in the face of wars, famines, refugees, recession, corruption and natural disasters. It is unclear whether and how art can be an effective means to respond to the state of our planet. At best it seems to be able to create a place that brings us together and makes us think and discuss. 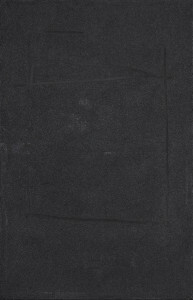 In his most recent works Stephane Leonard chooses darkness as a reaction to his own private impuissance. Black dominates the three main paintings of the exhibition. 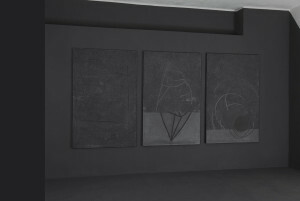 At first glance the works appear monochrome, only broken by different structures on the surface. 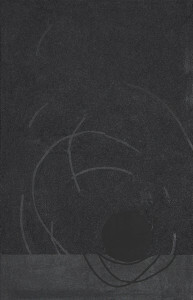 On closer inspection one realizes lines embedded in a black mass. Drawings that seem to lie behind the top layer. Looking at them opens up a view at a place behind the darkness. As if looking through a milky window one seems to look straight into the unknown. Into the future? The past? In any case into more, only differently nuanced black. In other works and series Leonard has worked on themes like finitude and mortality before. 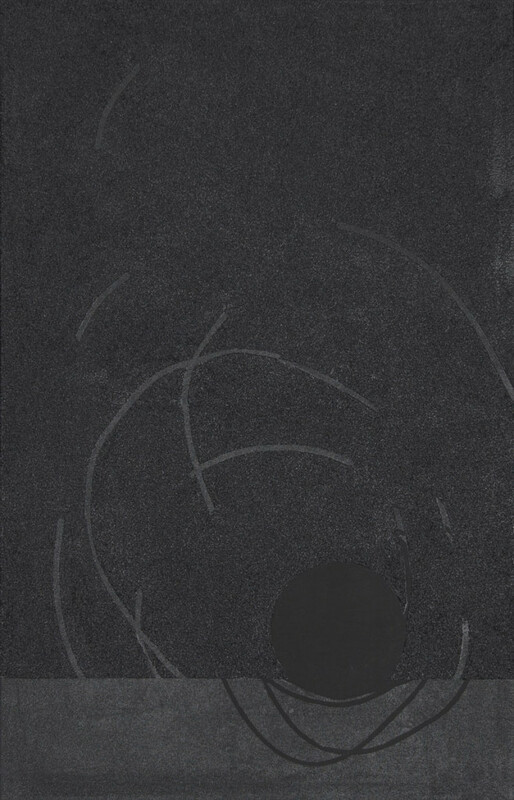 in his drawings objects seem to fall apart, to dissolve or emerge from nothingness. Rien ne va plus marks an endpoint here. 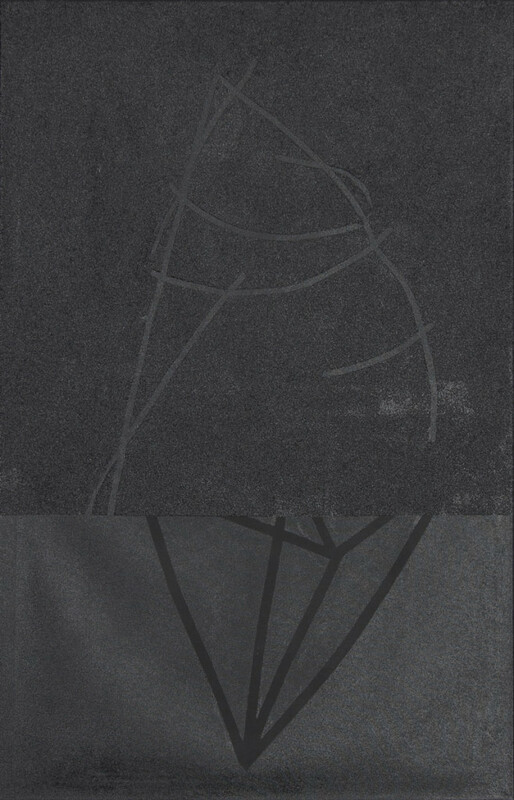 The canvases of this series themselves were taken to an end by Leonard’s working technique. A canvas can not, as one might think, be overpainted as often as one wants to. They eventually reach a point where the linen is soaked with paint to become a stubborn, hard something on which one can no longer work. 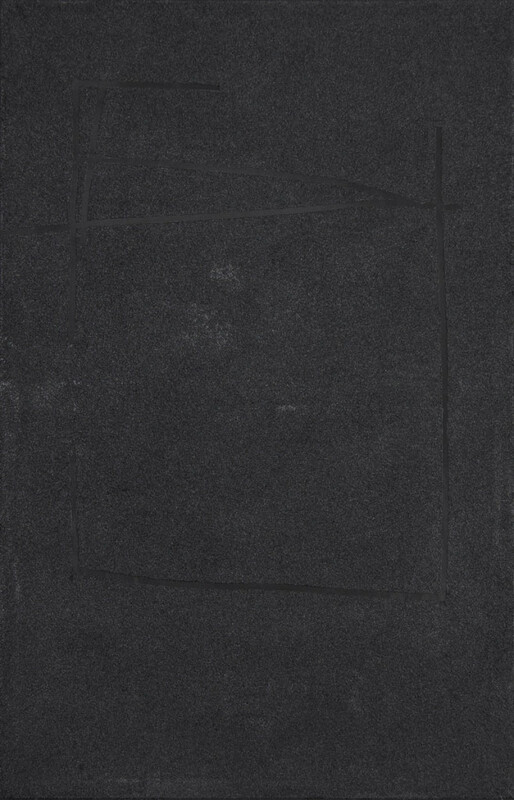 Leonard used acrylic paint on a natural gray linen and painted over it with a tar-like bitumen varnish, a paint from the construction industry, which makes the linen unusable for further painting sessions. Leonard is not interested in painting beautiful pictures. He has this unconditional urge to give his lines an expression, seeing them as extensions of his thoughts, and in the case of this series also, concerns and needs. Still, these images contain an appeal and attraction difficult to escape from.